This year Summer Camp Whiz Kids introducing the most required quality in the children "PERSONALITY DEVELOPMENT COURSE". We have chosen the topics on which today's generation kids need to know. Summer camp available in Perambur Centre and in Vinayagapuram branch. Yoga @ Whiz Kids Activity Centre. Weight loss, a strong and flexible body, glowing beautiful skin, peaceful mind, good health – whatever you may be looking for, yoga has it on offer. When you are in harmony, the journey through life is calmer, happier and more fulfilling. We provide Yoga classes for kids and adults. Relaxation is an important part of maintaining health and wellbeing, and being able to calmly deal with life’s stress. Yes Exam Stress is over and its time to relax. Whiz Kids Activity Centre had organised one day trip for the Tuition children. Kids had a fantabulous day out at Birla Planetarium and Children's Park at Guindy. 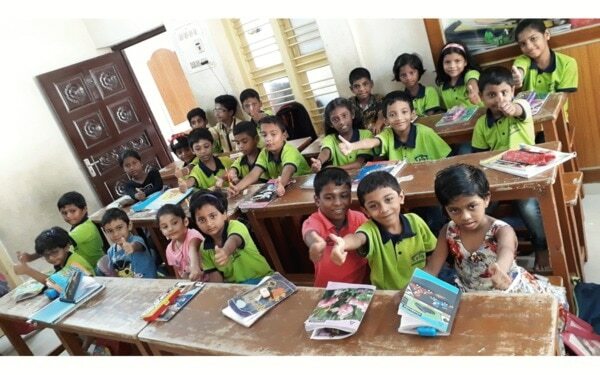 Summer Classes For Kids In Perambur Whiz Kids Activity Centre conducting its 4th Summer Camp. First batch going on. Enrol for the forthcoming two batches. Summer Classes For Kids In Kolathur Whiz Kids Activity Centre conducting its 4th Summer Camp. First batch going on. Enrol for the forthcoming two batches. Avail Rs. 500 discount and one course absolutely free by opting Combo Pack. We have successfully completed 3 years of Summer Camps. Here we go 4th Summer camp. Three batches are available. Contact us for more details. Engage your kid this summer with activities in Whiz Kids. Children express and interpret meanings in mark making and drawing as well as in speaking and writing. It has been studied that drawings are one of the most primitive forms of children expression and communication and are regarded as an effective means for children to explore their understandings. Whiz Kids Activity Centre provide various activities like Drawing, Classical Dance, Western Dance, Trinity Spoken English, Instruments, Chess and many more to develop children's skill. All the activities are available in Perambur and in Vinayagapuram branch. Yoga Class in Perambur for Kids and Adults. Weight loss, a strong and flexible body, glowing beautiful skin, peaceful mind, good health – whatever you may be looking for, yoga has it on offer. When you are in harmony, the journey through life is calmer, happier and more fulfilling. Classes available in Kolathur Centre.